Bldg#4, Unit#36. UNDER CONSTRUCTION in the Village of Milford*Walk to Downtown Milford from this Newly constructed condo. Upscale, 1,785sf, 2 bedroom, 2.5 bath condo w/2 car attached garage. First floor features hardwood floors throughout & 9' tall ceilings. High End Kitchen with granite counters, 42" Merillat Spring Valley Maple Deluxe Cabinets. This open floor plan condo is great for entertaining with a dining room and Great Room w/FP & a doorwall to a private Azek composite deck. Master Suite features a large walk in closet and upgraded bathroom w/granite counters, Fiberglass Shower & ceramic flooring. Quality 2 x 6 construction. 2nd floor Laundry. Development to include new sidewalks connecting to Downtown Milford restaurants, shopping, & Kensington hike/bike trails. 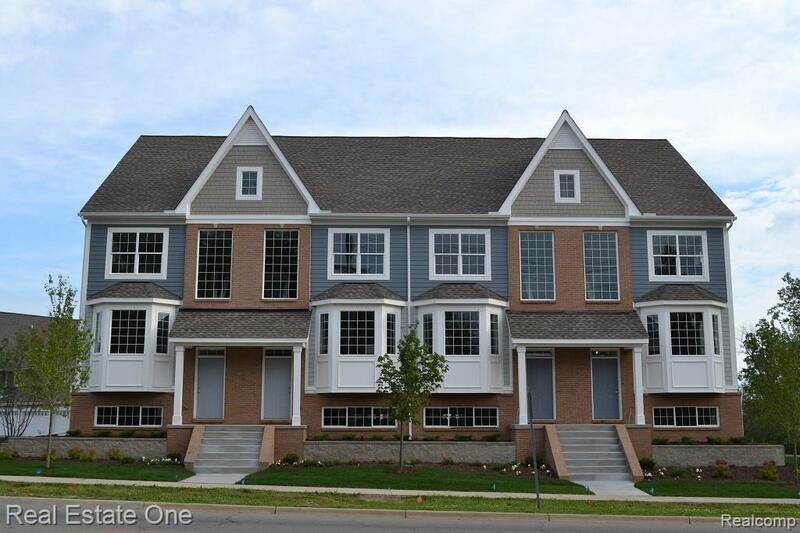 Easy access to freeways, Kensington Park, Central Park, Camp Dearborn, YMCA, & Highland Rec.